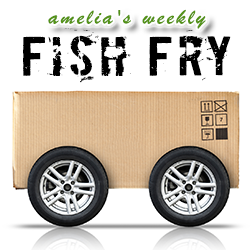 Consolidation and innovation in embedded design is the name of the game for this week’s Fish Fry. We chat with Ken Grob (Elma Electronics) about VPX, getting your box design onto a board, and the many advantages of implementing a system on chip or system on module in your next embedded design. In a special “This isn’t an April Fools’ joke” edition of News You May Have Missed, we investigate how the foam created by a tiny frog from Trinidad may revolutionize antibiotic delivery. Also this week, we check out the many challenges and alternatives for thermal management.